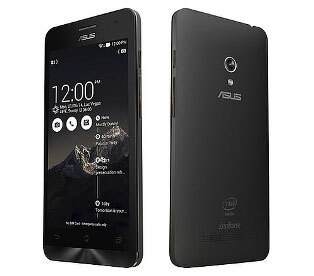 ASUS ZenFone 5 smartphone comes with dual-core Intel Atom Z2520 processor with Intel Hyper Threading Technology clocked at 1.2GHz. Meanwhile, the original ZenFone 5 (A501CG) is powered by a 1.6GHz dual-core Intel Atom Z2560 processor. Also has 5-inch HD (720x1280 pixel) IPS display; an 8-megapixel rear camera; a 2-megapixel front facing camera; inbuilt storage expansion via a microSD card (up to 64GB), and 2110mAh battery.